From Flanders Today: Belgium may have missed out on the combined blue moon, blood moon and supermoon that captivated the world's media in January, but it is well-prepared for the next event: a full lunar eclipse on the night of 27-28 July. Information packs are already being sent out to schools so that teachers can work the eclipse into their lessons, and on the evening itself Flemish observatories will throw their doors open to the public. "An eclipse always appeals to the imagination," said Flemish education minister Hilde Crevits. "It's a wonderful phenomenon and a good example of how science sometimes comes very close to us." A lunar eclipse takes place when the sun, the earth and the moon line up in such a way that the moon lies entirely in the earth's shadow. When this happens, the only light to reach the moon's surface first passes through the earth's atmosphere. 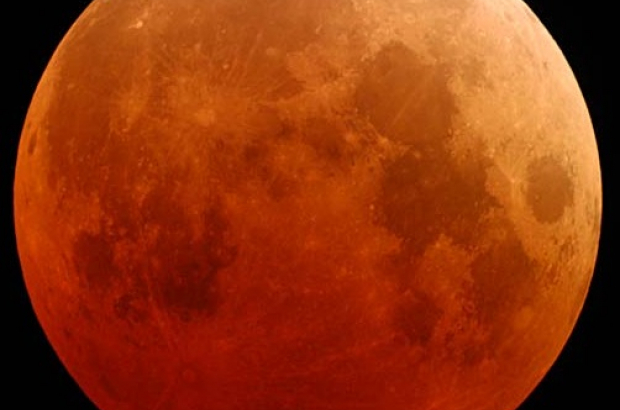 This sometimes makes the moon look red, hence the term "blood moon". The information pack going out to schools explains how eclipses happen and how this one can be seen. In contrast to a solar eclipse, there is no danger in looking at a lunar eclipse. All you need is your eyes, a clear sky and a notion of the right time and direction to look up. The information is also available on a dedicated eclipse website. In addition, the schools campaign aims to connect the eclipse with other topics, such as climate and space travel. "A lunar eclipse can also awaken the interest of students to go further with the sciences," Crevits added. There are between four and seven eclipses every year around the world. Solar eclipses, when the moon comes between the sun and the earth, are short-lived and only visible in a narrow band of locations. Lunar eclipses last longer and can be seen from a wider range of places, but even so Western Europe sometimes misses out. Another total lunar eclipse will visible in Belgium on 21 January 2019, but this is an unusually short gap. After that the wait for the next one is longer, until 16 May 2022, followed by 7 September 2025.